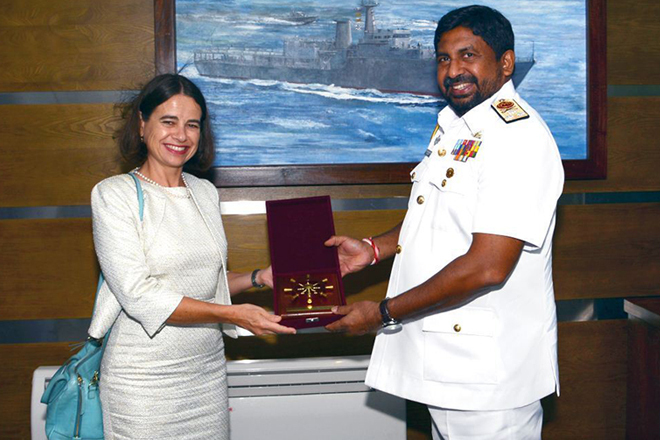 (Press Release) – Australian High Commissioner HE Robyn Mudie and Defence Adviser Captain Jason Sears recently called on the Chief of Defence Staff, Air Chief Marshal Kolitha Gunatilleke, and the Commander of the Sri Lanka Navy, Vice Admiral Ravindra Wijegunaratne, to congratulate the officers on their recent appointments. The meetings were also useful opportunities to discuss the ongoing cooperation between Australia and Sri Lanka to counter people smuggling and the growing relationship in defence cooperation between the two nations. 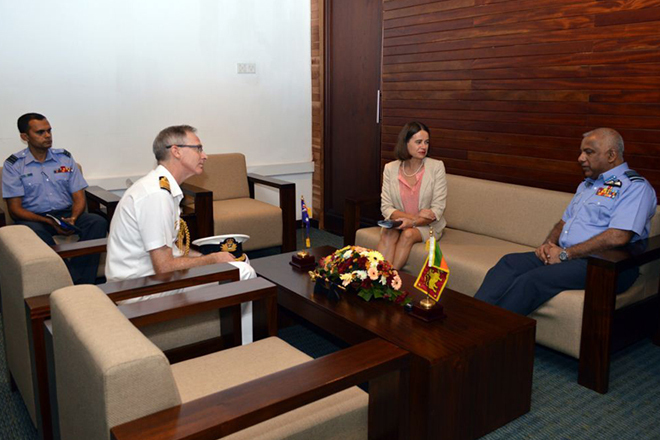 Robyn Mudie, Captain Jason Sears and Chief of Defence Staff Air Chief Marshal Kolitha Gunatilleke discussing ongoing cooperation between Australia and Sri Lanka.